It's been a while since I've reviewed a good hairspray. I'm really surprised, because hairspray is one of those things that every girl MUST have at least 2 of, and you can buy really horrible hairspray, OR amazing hairspray. So I think it's important, that we cover the topic. 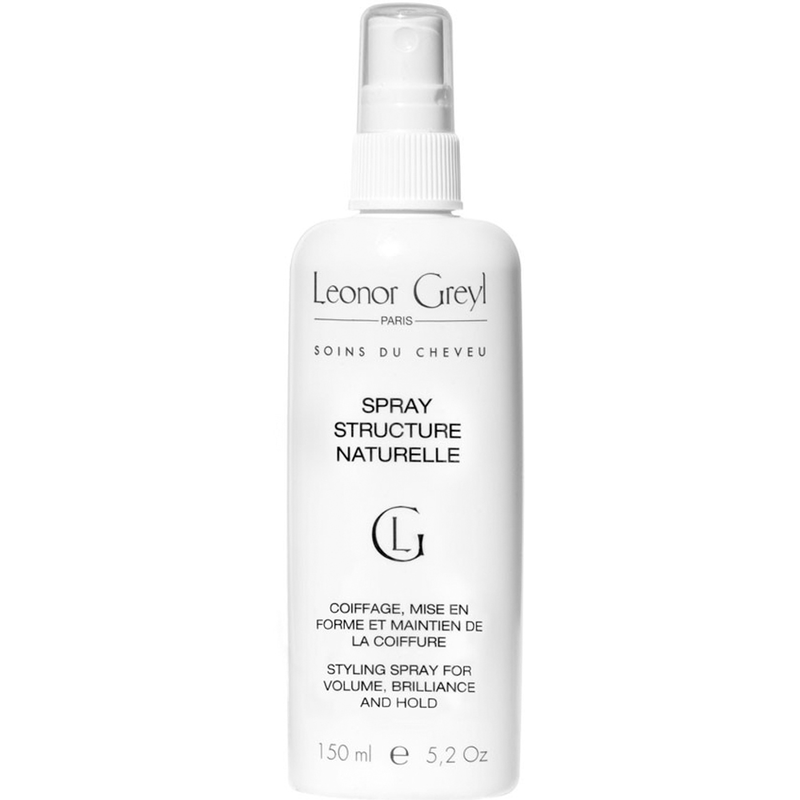 My favorite hairspray hands down is the Leonor Greyl Spray Structure Naturelle. When you first see the title you think, "What is it?" It's a fancy word for good old hair spray. Although one of the more pricier sprays, this one is the toughest of the tough. My mom borrowed my bottle when her Pantene rang out, and said it was TOO strong, and I thought to myself, "Is there a such a thing as TOO strong hair spray?" Not in my world. Many sprays will leave your hair sticky and will cause your hair to lose it's volume. 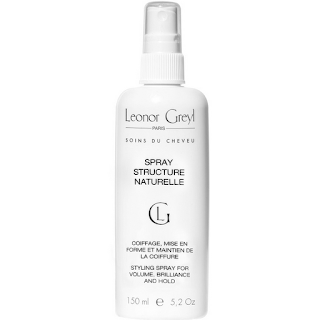 The Leonor Greyl Spray Structure Naturelle not only holds your hair all day, but it gives your hair shine and radiance. It keeps the volume going in your hair, and won't weigh it down. For me, a bad spray is one that leaves your hair gooey, flakey and flat. The worst ones, (which I will save for another post) leave my hair dull and greasy looking. Leonor Greyl Spray Structure also contains a UV sunscreen which will help treat color treated hair. And although the price tag may seem a big steep at $38, one spritz will last at least 12 hours, even more if you spray a little more. When I tried this for the first time I used it on my curls and I remember waking up the next day and my hair was still curly! Now that is a hair spray! Leonor Greyl Spray Structure is hands down my favorite hair spray to date. Sebastian Professional Reshaper is another favorite of mine. It leaves your hair full of volume and won't make your lock sticky or gooey. It also holds your hair in place at least 12 hours. When you use hair spray you always want to be able to shake your head or move around and have your hair MOVE and not stay perfectly still. That is another reason Sebastian's spray is my 2nd favorite. Bumble and Bumble is quickly becoming my go to haircare company. When I get my hair done at the salon, they only sell Bumble and Bumble so I've been testing out their shampoos, sprays and conditioners. 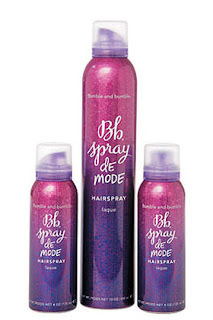 Their Spray De mode is my #3rd favorite hair spray because it also creates gorgeous volume and also gives you a beautiful shine. And it smells amazing. I can't stand a stinky hair spray. Everyone probably has someone at their workplace that wears horrible hair spray, I know I do! Do you have a favorite hair spray? easy to use and less likely to streak or look fake. The active component of the spry tan solution is dihydroxyacetone. Salon will apply the solution directly to your skin. I also say, "If you want it to stay looking like it did when you took it out of the box, put it back in the box". for days. These rays can also cause sunburns in people that have fair skin or stay in the sun too long. In fact, I got my first Mystic Tan this past June - then I was hooked. some of the main points regarding spray tanning.